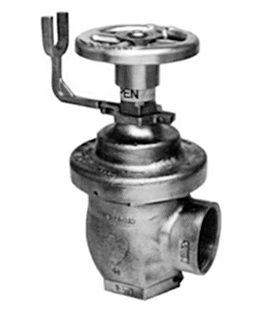 Female inlet by Male outlet Pressure Reducing Valves. No outside controls involved. Inlet pressure 300 PSI for 1 1/2", and 400 PSI for 2 1/2" Available in 1 1/2" and 2 1/2" cast brass standard, chrome plated optional.